How many of us can look back on our lives and see the forks in the road where we chose the wrong path and the destruction it brought? In an age where we have to make thousands of choices each day, we often feel crippled about which direction to take. For the Christian, not only do we have a God who knows the beginning from the end, but we have a God who promises to give wisdom to those who ask. 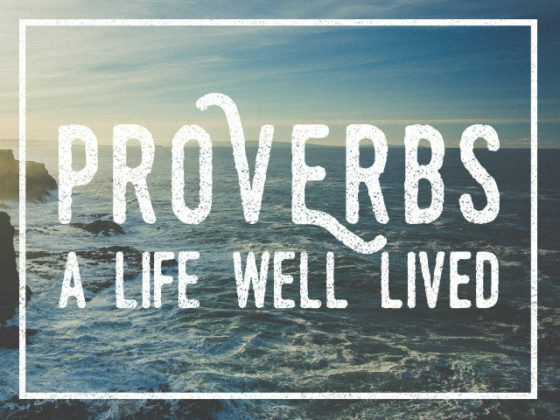 In this series from the book of Proverbs we are seeking to understand God’s wisdom about areas of our lives where we all have questions, where we all have choices, where we all need insight. Listen up, as we seek to find wisdom in how to have a life well lived! given on Jul 15, 2018.
given on Jul 08, 2018.
given on Jul 01, 2018.
given on Jun 24, 2018.
given on Jun 17, 2018.
given on Jun 10, 2018.
given on Jun 03, 2018.